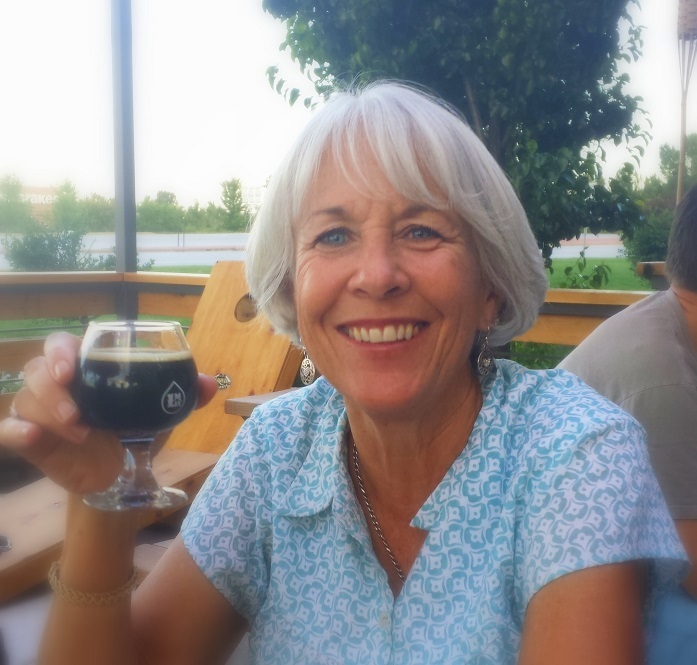 As I travel to breweries in the Boulder area, I come across three primary taproom styles. The first is industrial – breweries that are located in out-of-the-way industrial parks, with ample brewing rooms and usually small tasting rooms. The second style is residential/commercial properties; often houses or small stand-alone buildings with larger taprooms and more amenities. 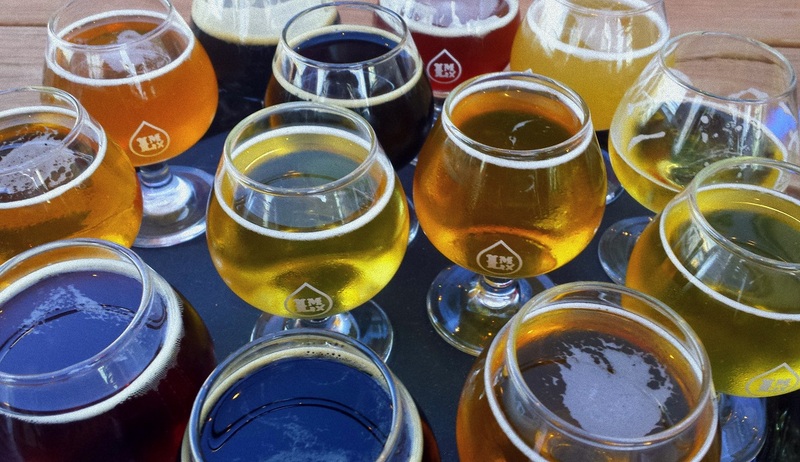 Finally, there are the retail breweries – large taprooms meant to bring in lots of customers. Liquid Mechanics, in Lafayette is definitely in third category. 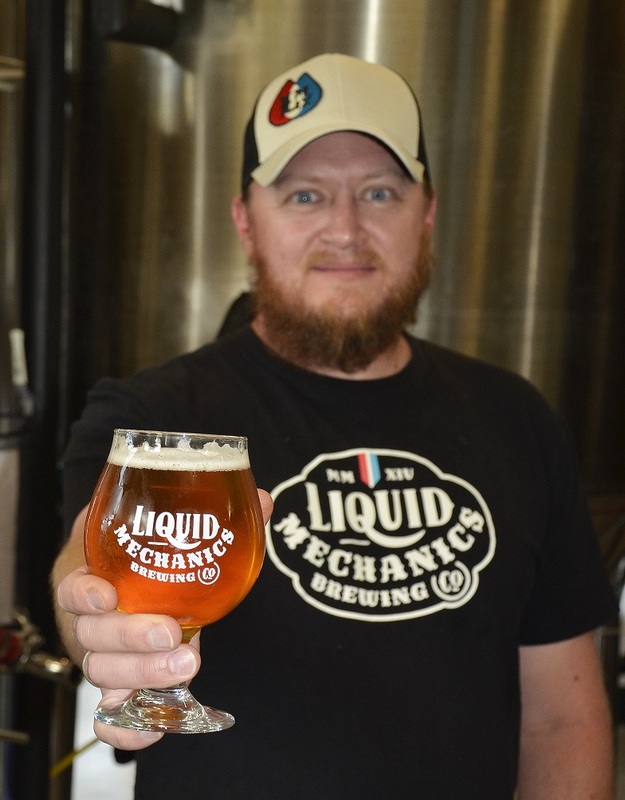 Located on Highway 287 and Baseline Road, in the Lafayette Village, Liquid Mechanics is in a prime location for bringing in crowds. About thirty percent of their customers are driving by, see the large signage, and come in. Davin Helden, one of the three owners (official title: Captain of the Ship and Head Paper Filer), along with Seth Townsend and Eric Briggs, says that while planning to start a brewery, they needed to open with great beer and a great taproom. “First impressions are important to keep customers satisfied and keep them coming back”, Helden told me. Repeat customers, or “regulars”, are important customers, and they strive to create a drinking experience that keeps customers coming back for more. I count myself as a repeat customer, stopping by on more than one occasion to enjoy good beer. Of course, good beer is most important, but atmosphere and friendliness is high on my list of qualities I look for, and Liquid Mechanics has all of these. The taproom has plenty of seats around the bar and tables throughout, plus a nice-sized patio with several more tables. The inside area of the taproom allows (well-behaved) kids, and the patio area allows leashed dogs, as long as the dogs are at least as well-behaved as the kids. Like most breweries in the area, Liquid Mechanics does not serve food, however, food trucks in the parking lot provide good food to complement their good beer. Speaking of good beer, I tried them all (my wife was driving). When we visited, there were thirteen taps – five classics, including a Kolsch, a Saison, an IPA, an Altbier (Davin’s favorite) and a Porter, five seasonals, including a Session IPA, a Red Ale (my favorite), a Cascadian Dark Ale, a Honey Blonde, and an Orange Wit. Three small-batch brews – a Chipotle Lime Kolsch, a Belgium Golden Ale, and a Peanut Butter Porter – rounded out the line-up. Their offering of beers changes often, and can always be found on their Website, liquidmechanicsbrewing.com. Their lighter beers, including the Kolsch, Belgium Golden Ale, and Honey Blonde, were very crisp and clean with little after-taste; perfect for warm summer days. I really enjoyed both IPAs (I’m not a hop-head, so for me to enjoy an IPA says a lot about the beer and the brewer). My favorites, including the aforementioned Red Ale were the Saison and the Porter. All three had bold pleasing flavor and body. Seth Townsend, the head brewer, with over twenty years of brewing experience, has come up with some great recipes. Good enough in fact to win several medals in their first year in business. This year, they have won two Gold medals and three Silver medals at the Denver International Beer Competition and two Bronze medals at the US Beer Open. For those who like having something to do while enjoying good beer, Liquid Mechanics as several nightly activities, including Geeks Who Drink Trivia on Wednesday nights and live music on Friday and Saturday nights. Sidebar: Liquid Mechanics is having their one year anniversary on Saturday, August 22nd and will have plenty of specials and entertainment on tap. If you go there, use the parking lot entrance on Hwy 287 rather than the one on baseline Road. Some of Liquid Mechanics more popular beers are available in several local restaurants and brewpubs, and they will soon have bottled beer available in stores.